Gaura is originally a perennial but, because of its outstanding qualities, it cannot be excluded from border and balcony assortment. Their pink or white flowers remind you of flying butterflies with the flowers floating over the mixed balcony boxes, containers, and borders. Gaura flowers non-stop from April until the end of October. They are drought resistant and do not need a lot of care. 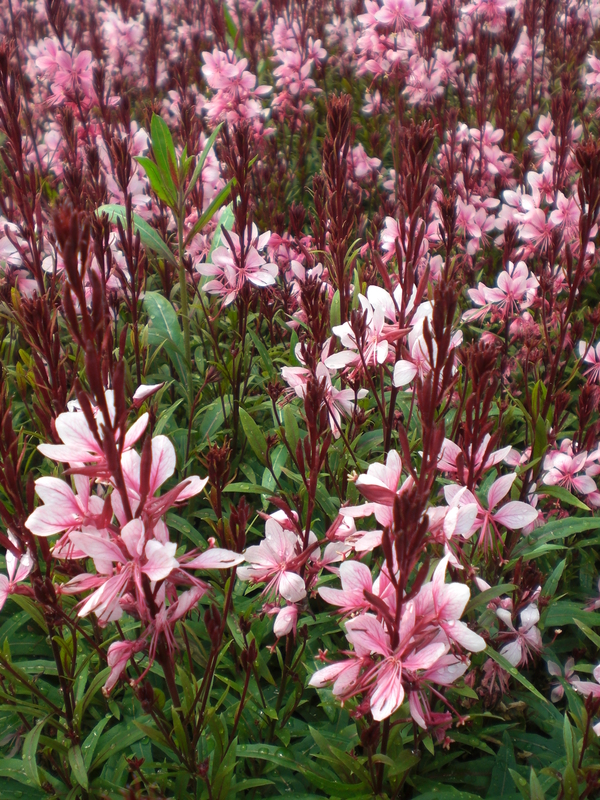 Excellent branching and short flower stems make this Gaura series a real winner. It is heat and drought tolerant and blooms continuously. 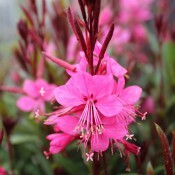 The pretty dark pink flowers of Gaura Cynthia are a perfect addition to patio pots and borders. 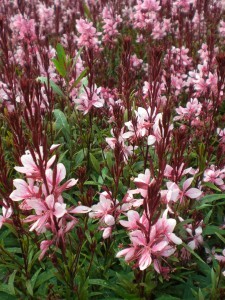 Excellent branching and short flower stems make this Gaura series a real winner. 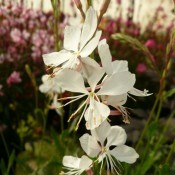 Gaura Erica is heat and drought tolerant and blooms continuously. The white flowers will look spectacular in patio planters, window boxes and borders. 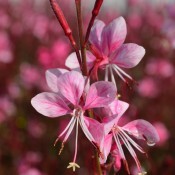 Excellent branching and short flower stems make this Gaura series a real winner. The flowers of Gaura Olivia are delicate light pink. It is heat and drought tolerant and blooms continuously. Olivia makes a wonderful addition to mixed containers and borders.